Over the years we've learned a lot about life. Not just life on the road, but life in general. 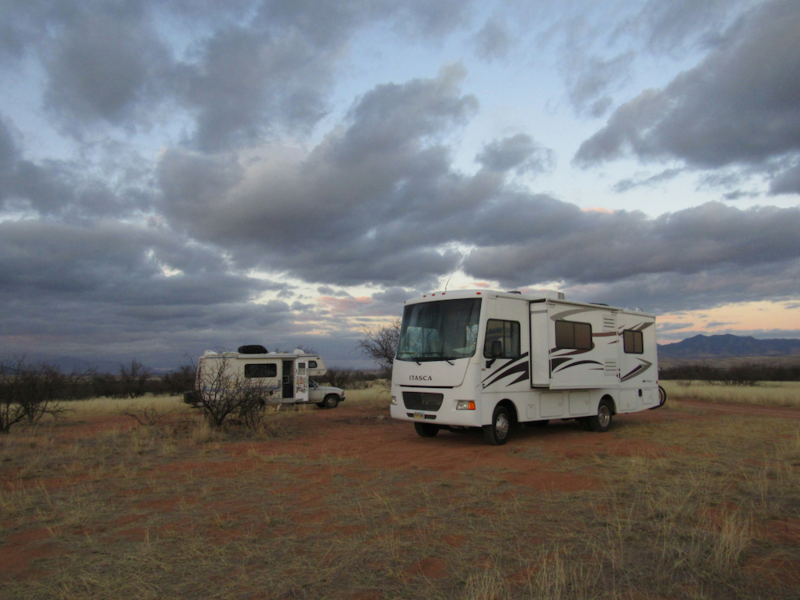 Here are five life lessons that we've learned while full-time RVing. Are you thinking of or planning to start full-time RVing? If yes, we say go for it! We began full-time RVing over four years ago and over the years we’ve learned a lot about life. Not just life on the road, but life in general. 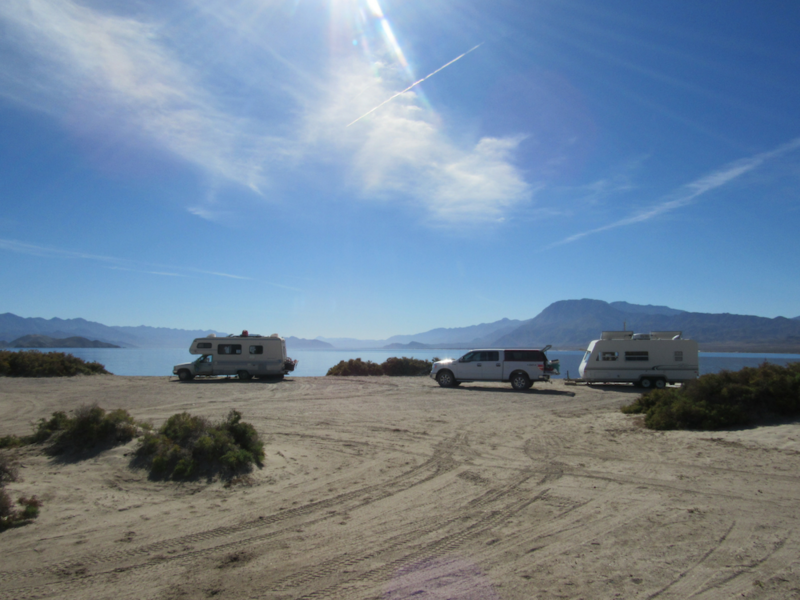 Here are five life lessons that we’ve learned while full-time RVing. 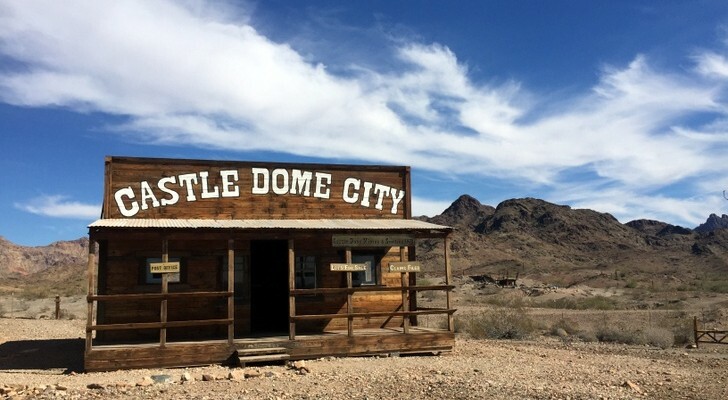 No matter how much you’ve read or researched about full-time RVing, we guarantee there are people out there doing it a way you’ve never heard of or imagined. 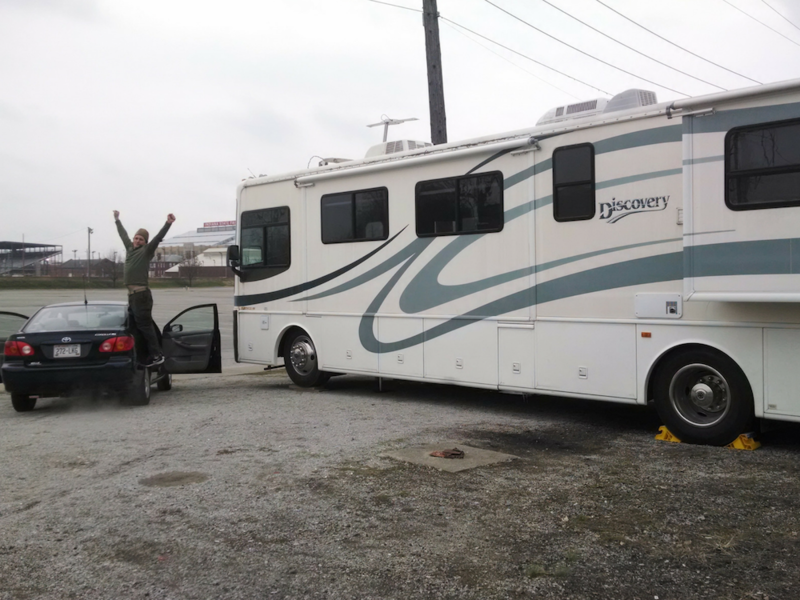 When you start full-time RVing, keep an open mind about what it will look like and how you will do it. Figure out what works for you and continue adjusting as you progress. 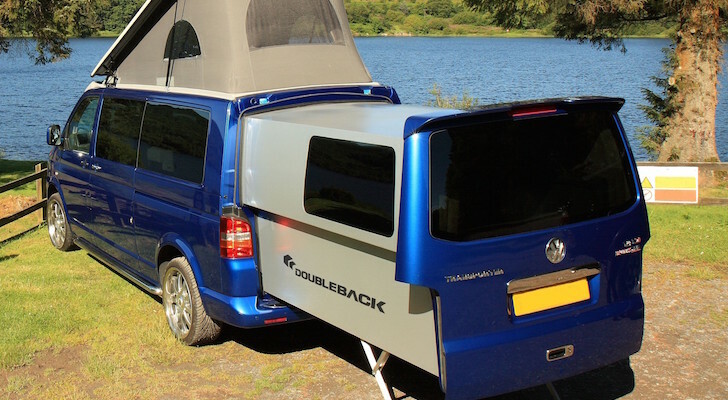 We’ve met people who travel with giant fifth wheels and people who travel in tiny mini-vans. Some people stay only at RV resorts, while others are strictly state park people. Then there are the travelers who pride themselves on never paying for a night of camping. We’ve dragged people out to boondock with us and they’ve dragged us to some super nice RV resorts! 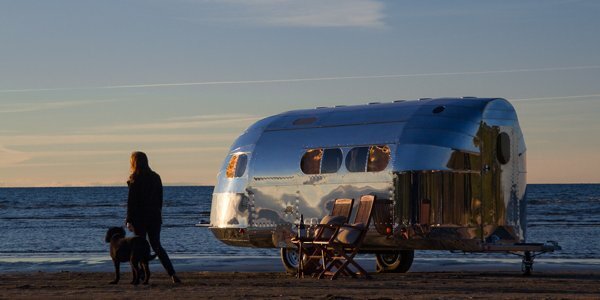 Some travelers alternate RV or van travel with AirBnBs or farm stays. Maybe they are taking a year off of “regular” life to explore or maybe they’ve never had a regular job or lived in a traditional house. You can work seasonally and then travel the rest of the year. Or pick up jobs along the way or work 100% remotely. Even of the people who work 100% remotely, there are a variety of different styles. Some people work a pretty regular nine to five, while others are entirely flexible with their work time. And then there are people who are retired or have almost entirely passive income. Over the past four years, we’ve met travelers who fall in all sorts of combinations of the above categories. 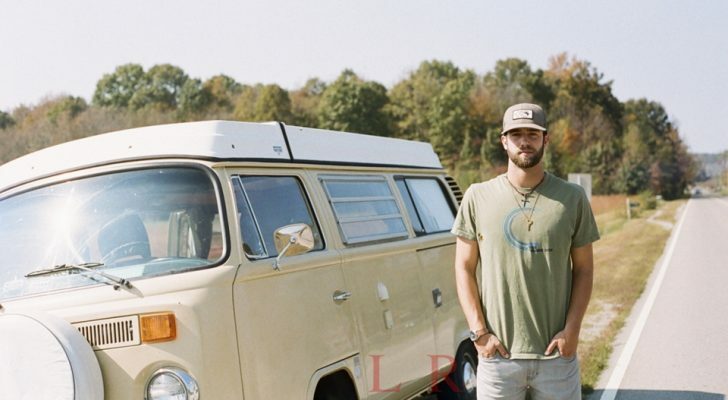 We’ve figured out that just like all things in life, there’s not just one right way to live the full-time RVing life. Just remember if you are always trying to do it like someone else, you’ll never figure out the style that works for you. Once you’re on the road it’s easy to get caught up in wanting to do and see everything. If you’ve set yourself up with the flexibility to move whenever and wherever you like, it’s tempting to be moving all the time. After all, there’s a lot of amazing things to do and see out there. Telling yourself to slow down not only allows you to more thoroughly experience the place you are traveling to, but also will help you to enjoy the journey as much as the destination. We’ve found that traveling slower and living slower go hand in hand. We give ourselves a lot of downtime and sometimes will even travel to a new area and not do anything but set our chairs up outside, smell the air, and take in the view. Remember that you are not on vacation, this is life. You will want time to relax, time to cook, time to read, time to clean, time to grocery shop. This all adds up and if you start trying to squeeze it in between driving and sightseeing you’ll start getting burnt out. Slow down and give yourself time to travel and live. We’ll be honest, this comes naturally to us. We’re not big planners and actually prefer waking up not knowing where we’re going that day rather than having plans and reservations. Knowing what we’re doing stresses us out! But even if you are a big planner and can’t imagine traveling without an itinerary, we recommend trying to be as flexible as possible. Many of our best experiences on the road over these past four years were things that we didn’t even know about until the day we did them. Maybe we met someone who told us about a festival or event going on that day or maybe we were traveling, stopped for a night and loved it, and decided to stay for a month. 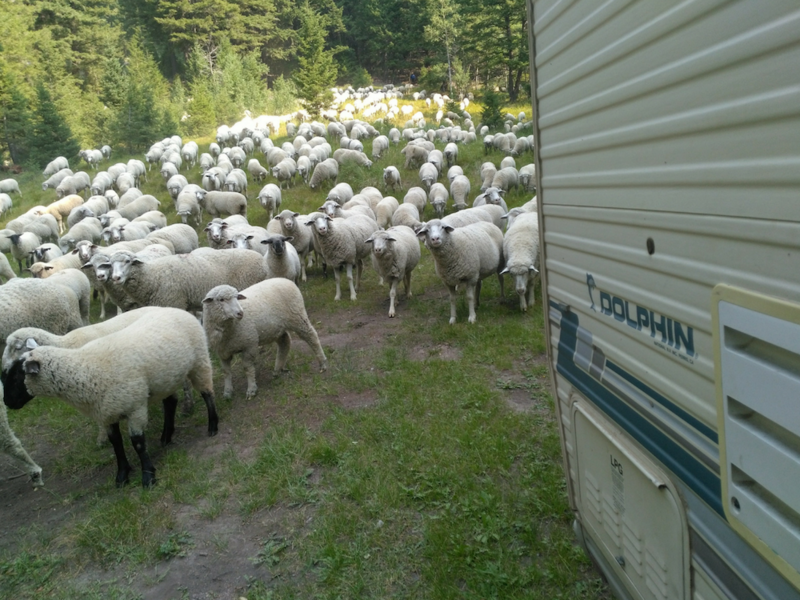 We were boondocking and were told by neighbors that there was a sheep camp getting ready to move up the way. We stuck around and were treated to this amazing experience. Being flexible will also allow you to roll with the punches with weather and unexpected circumstances. We were on the cool coast in California and decided we wanted some hot summer weather so we drove inland where it was WAY hotter than we expected. We swam a lot and went to dinner at some air-conditioned restaurants for a couple of nights and then decided to drive back out to the coast to cool off again. A couple of days later we were driving inland again to meet up with some family. 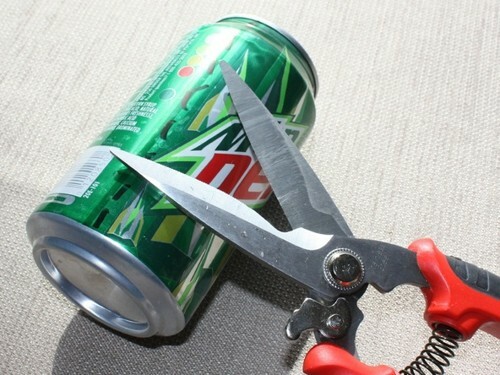 Did this make complete sense? Maybe not from a financial standpoint (gas in California is expensive), but it is all part of the experience and the drives back and forth were just as interesting as the places we ended up. 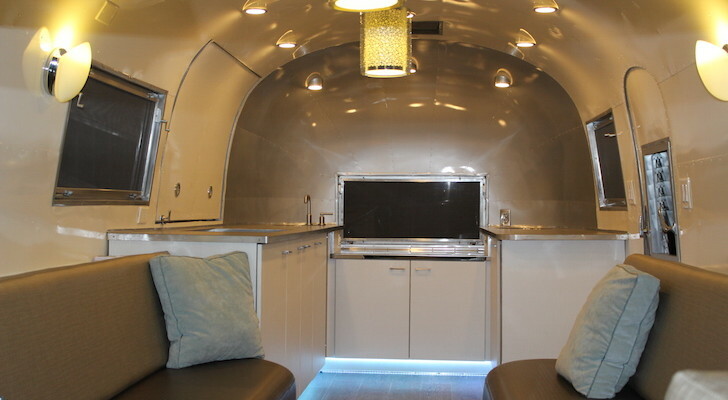 Your house is on wheels allowing you to move on a whim, take advantage of that! Because of our disdain for planning, we are not the best at attending official meetups or rallies on the road. 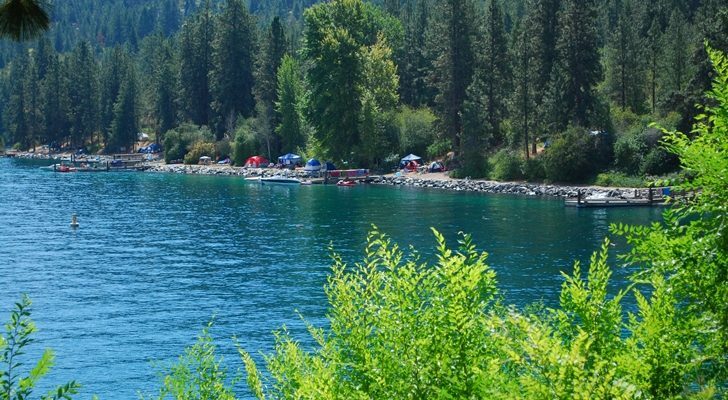 However, when we have it’s been fun for the whole family and just like we talked about all the different styles of full-time RVing above, there are communities and groups on the road for all types of travelers. If like us, you are not one to sign up for the official things, there are still many ways to meet people while traveling. We met some of our best friends while working a season at a national park. We met a family at a campground in Baja and traveled for the next couple of weeks with them. It’s amazing how many times you will randomly cross paths with people while traveling and if you are open-minded and friendly it’s easy to make new friends. Throw in the ability to stay connected through social media and it’s pretty easy to keep up a relationship while on the road and reconnect over and over again. 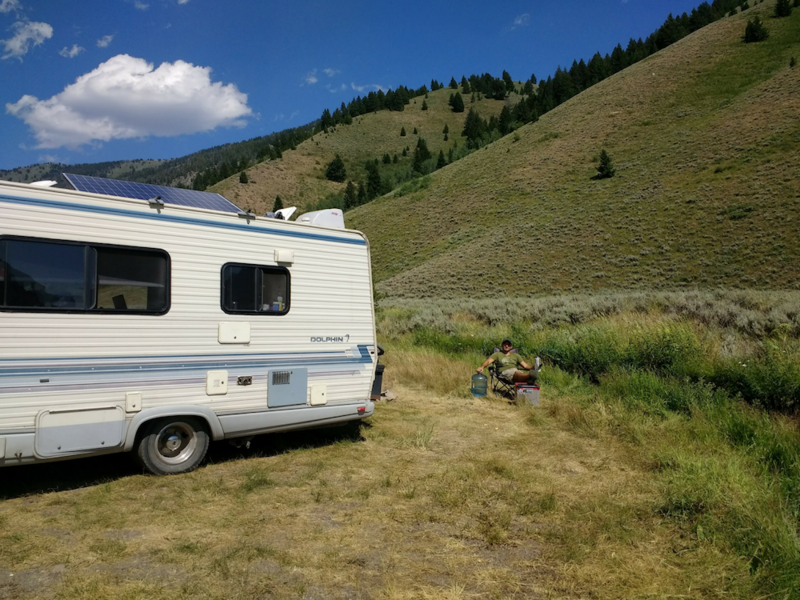 It’s easy to think that once you start full-time RVing all of your stresses and problems will just disappear, and for us, there was definitely a honeymoon period where this was the case. We were so pumped that even our problems seemed exciting and new. However, life is life and after a while, it’s easy to start taking things for granted and think that the grass is greener. Life on the road can be exciting, thrilling and extremely fulfilling, but it can also be stressful, uncomfortable and uncertain. Along with the freedom of being in total control of your life comes the pressure of making the most of it. Remember to stop and appreciate the fact that you are living a life that you chose. Don’t compare yourself to other people who may seem like they are doing it better or bigger. Do the things that make you and your family happy and relax and enjoy life. After four years of full-time RVing, we have learned a lot about living a fulfilling and intentional life. 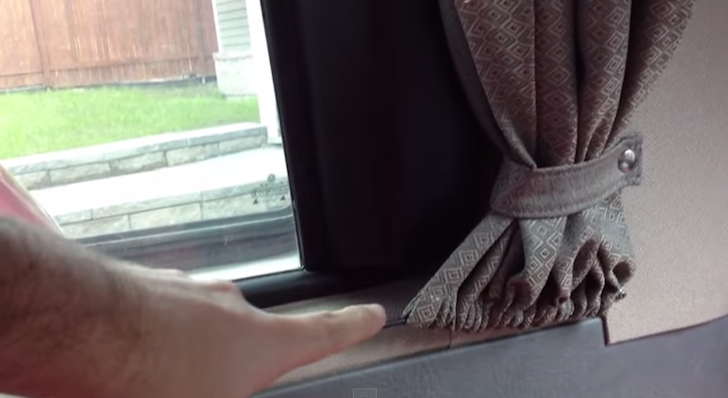 Hopefully, these tips will help you with your full-time RVing journey. Excellent read, have a happy life. Excellent suggestions! What has worked for me the most is the ability to be flexible. Luckily, it comes naturally to me, and has kept me sane in handling challenges on the road. Wouldn’t live my life any other way!